Welcome to Tulane University. 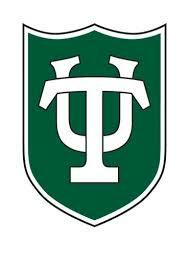 Founded in 1834, Tulane is one of the most highly regarded and selective independent research universities in the United States. A member of the prestigious Association of American Universities, we take pride in being a part of this select group of universities with pre-eminent programs of graduate and professional education and scholarly research. Our schools and colleges offer undergraduate, graduate and professional degrees in the liberal arts, science and engineering, architecture, business, law, social work, medicine and public health and tropical medicine. A signature part of the Tulane undergraduate experience is getting involved in public service. Through unique partnerships between the university and community organizations, students are able to interact with people they would not otherwise meet while gaining a better understanding of life in New Orleans beyond the Tulane campus.